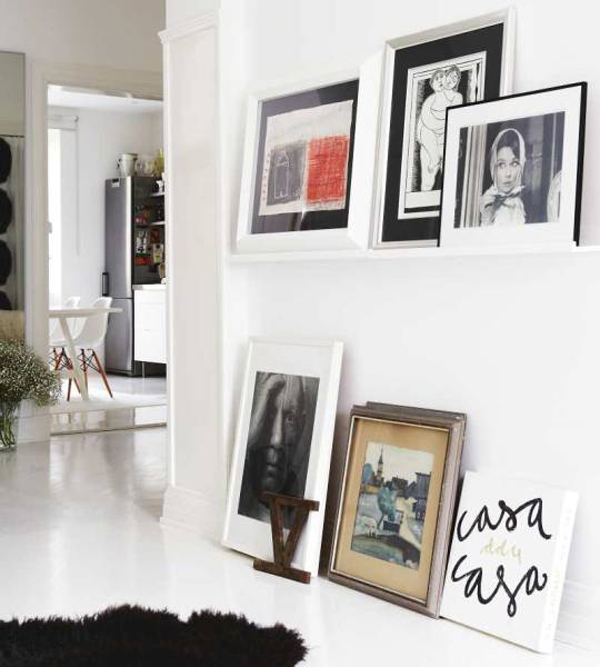 Love this white space and variety of frames. I dont know where you get your inspiration but this one looks absolutely fantastic. This is stunning... I quite like the look of standing pictures rather than hanging them up. They look really fab grouped together like that. Love that Casa Casa painting on the bottom right. Wonder where that's from. Great space, I agree. beautiful. i love the mix of picture ledge and casually propped up pieces. Love this style of decorating, casual but thoughtful. Love. Love. Pitter Patter. Flutter. Love.